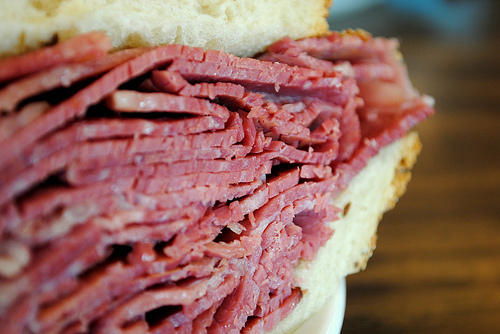 Shoutout to Slyman's: home of life-changing corned beef. A quick update today as March Madness takes hold and Cleveland prepares for St. Patty’s Day. How big is St. Patrick’s Day in Cleveland? The Catholic Diocese of Cleveland issued a notice regarding corned beef and Lent. My Catholic friends are encouraged to enjoy corned beef and perform a work of mercy rather than abstain from meat. The Federal Reserve raised rates by 25bps. The decision was nearly unanimous with the lone dissent being hometown boy Neel Kashkari. Kashkari is a Northeast Ohio native and scary smart. I think his dissent was more to attract attention to a political issue (economic inequality) rather than an actual desire to hold rates. He has run for public office before (governor of California, no less!) and I think he will again. The community that is smart enough to elect him will be very lucky. I don’t agree with all of his views, but Kashkari is part of a new wave of political actors that will move us past the extreme partisanship of recent times. He’s accessible and open-minded and comes across as someone who is willing to compromise in order to build solutions that work rather than being focused on scoring political points. I’m a fan. Back to the Fed, though. After 8 years of supposedly being in a ‘rising rate environment’, rates are finally moving up in reality. So have bonds cratered? No. The Fed has been slow to act and has telegraphed it’s movements clearly. This makes it easy for the market and money managers to plan accordingly. If the Fed had raised rates by 50bps or radically changed the wording in their statement, maybe we would have seen some short-term turmoil, but this group has consistently erred on the side of caution with its fingers on the market’s pulse. I am becoming less and less afraid of interest rate risk and more conscious of the credit risk money managers are taking as many stretch for yield. What if I told you the President's budget doesn't matter, and has never mattered. Like Who’s Line Is It Anyway: where everything’s made up and the points don’t matter.